The American and French revolution influenced Latin by showing them that they could gain independence. So nationalism showed Latin American leaders how to stand up for their country. Revolution in 1820 in Portugal sparked Brazils motive for independence. The government took actions that made the Creoles feel that they were being put back where they started both socially and economically. Creoles don't have rights like the peninsulares which also made them mad. 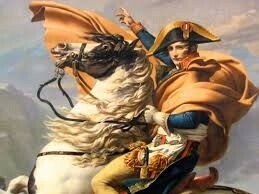 When Napoleon came over, the royal family fled to Brazil cause they thought that was rad. João returned to Portugal at the new government's request. He left behind his son Pedro I.
Brazilians' urged Pedro to resist the Portuguese government's demands to return to Portugal and become Brazil's leader. In 1822 Pedro became the emperor of Brazil. 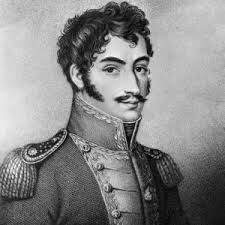 Venezuelan military leader who was instrumental in the revolutions against the Spanish empire. He had the idea of a Grand Columbia, which divided Latin America up into independent colonies. He was a key role in the fight for independence in Latin America. After he died his ideas still spread and influenced people to fight for independence. When Napoleon came to take over Portugal with French troops in 1807, the royal family (King Dom Pedro IV and Queen Carlota Jouquina) fled to Brazil. Later when Napoleon was defeated and the outbreak of the Liberal Revolution in 1020, the king came back to rule, leaving his son Pedro I, the heir, in Brazil. The Brazilians begged for the Prince to stay and rule them, then in 1822 he became the first ruler of Brazil and the founder of the Brazilian empire. He declared Brazils independence from Portugal on September 7th, 1822, and by 1824 had defeated all the Portuguese armies. The enlightenment and the French and American revolution showed people for the first time that you can gain independence for yourself. Also the American and French revolutions showed nationalism because both countries were fighting for the best of their country. So nationalism eventually influenced Latin American leaders to stand up for their country. An example of a leader is Simon bolivar who was fighting for Latin American independence against Spain and eventually got it. Enlightenment ideas spread all over, making people realize that they have certain rights. John Locke believed that we were all born as blank slates, therefore we are all born equal. So people, such as the Creoles, believed that they should have the same rights and be treated the same as a peninsulares. "Revolutions in Latin America (Overview)." World History: The Modern Era. ABC-CLIO, 2015. Web. 20 Mar. 2015. "The Stage for Revolution." World History: The Modern Era. ABC-CLIO, 2015. Web. 20 Mar. 2015. "Revolutions in Latin America: Introduction." World History: The Modern Era. ABC-CLIO, 2015. Web. 20 Mar. 2015. "Legacy for Latin America." World History: The Modern Era. ABC-CLIO, 2015. Web. 20 Mar. 2015. "Revolutions in Latin America: Closing." World History: The Modern Era. ABC-CLIO, 2015. Web. 20 Mar. 2015. "Transcript: The Stage for Revolution." World History: The Modern Era. ABC-CLIO, 2015. Web. 20 Mar. 2015.